Welcome to my Food Fun:Kids Food Crafts section. 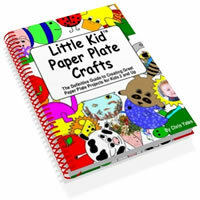 Here you'll find easy kids crafts using edible arts and craft supplies. Most of the ingredients are common household items and these kids food crafts are quick to make and fun! Mix all together. You can decorate your creations with raisins, chocolate chips, coconut, etc. Mix all together. 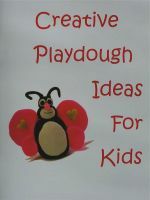 This is great for kids who want the peanut butter playdough but are allergic to milk found in other peanut butter playdough recipes. Thread the cheerios or whatever stringable food you've chosen onto the licorice string. Tie the licorice strings together in a knot and there you have it! Mix corn syrup and food coloring together in a small bowl until well blended. This can be used with either a paint brush or as a finger paint. Whisk instant pudding and water together in a bowl for 2 minutes. Refrigerate for 5 minutes.This makes a thin paint. If you want a thicker fingerpaint texture, I just mix up chocolate pudding as per the instructions on the box or buy the canned ready-made pudding from the grocery store. Whisk instant pudding and water together in a bowl for 2 minutes. Refrigerate for 5 minutes. Divide the pudding paint into several small containers or a muffin tin and add different food coloring to each one. This makes a thin paint. If you want a thicker fingerpaint texture, just mix up the pudding as per package instructions or buy the canned, ready-made pudding in the grocery stores. Mix together in a small bowl being careful not to overmix. Let cool 5-10 minutes before using. Paint on tin foil for a neat effect.